New friends, new lands, and all-new Pokémon-the next chapter of one of the greatest adventures! Most kids spend their days at school, but not Hareta. Raised in the wild by Pokémon, he can climb as high as an Aipcom, swim as fast as a Magikarp, and even eat bark like a Bidoof! Will Team Galactic's nefarious plans to capture Dialga succeed? Not if Hareta has anything to say about it! Cyrus, the brilliant and ruthless leader of Team Galactic, has set in motion his grand scheme to capture Dialga--a scheme with dire consequences for the land of Sinnoh. Hareta and his friends, together with several of Sinnoh's Gym Leaders, go all-out to put a stop to Cyrus and his minions. Things start getting tough, but the battle against Team Galactic gains a major new ally when Hareta befriends a mysterious and amazing Pokémon. 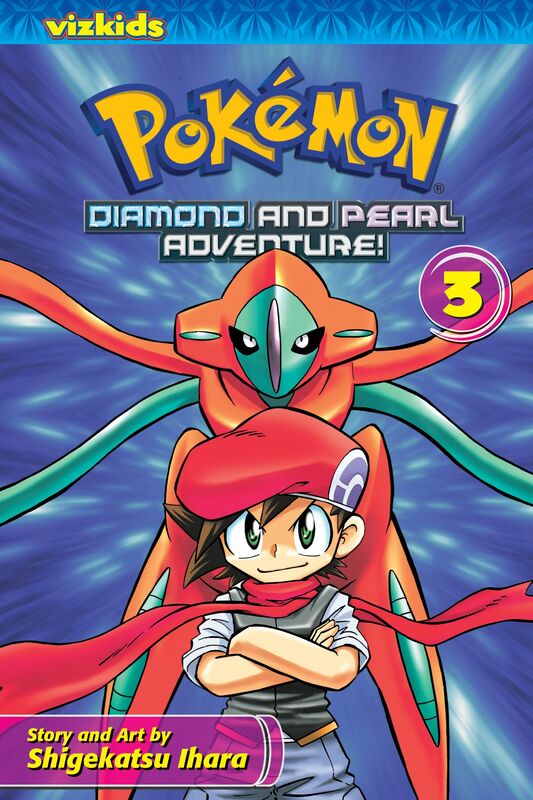 Shigekatsu Ihara's other manga titles include Pokémon: Lucario and the Mystery of Mew, Pokémon Emerald Challenge!! Battle Frontier, and Dual Jack! !